At Columbine Dental, our number one goal is to provide the people of Littleton, Colorado with comprehensive, affordable dental care. Our team of technicians, hygienists, and dentists will work with you to develop a treatment plan that is custom tailored to your unique needs. We utilize state-of-the-art technology so we can analyze and diagnose with extraordinary accuracy. At Columbine Dental we are committed to offering the people of Littleton, Colorado dental services that are effective, convenient, and affordable. We provide a wide range of services at Columbine Dental. In addition to addressing immediate problems such as a broken tooth, painful cavity, or a faded smile, at Columbine Dental we are eager to help you with the kind of preventative care that will maintain your oral health and take care of minor issues before they develop into major problems. We believe this is the most effective way to achieve a bright, healthy smile while saving you time and money. 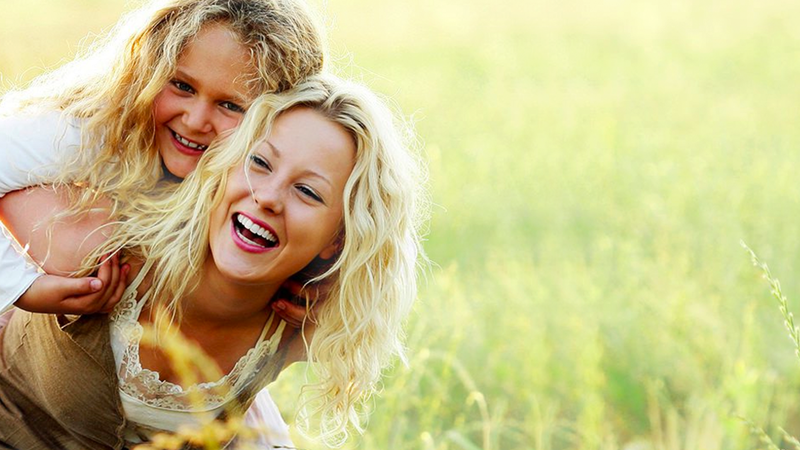 At Columbine Dental, we firmly believe that the best dental care is preventative dental care. Our goal is to help you maintain an effective routine for oral hygiene so that you are able to prevent tooth decay and avoid the cost and effort of dealing with cavities and gum disease. You can safeguard your smile with a visit to Columbine Dental every six months for a professional cleaning and dental exam. The dental team here at Columbine Dental can remove stubborn plaque and tartar buildup that regular brushing simply can't handle as well as identify the warning signs of decay and damage that would normally go unnoticed. Are you suffering from a toothache, a lost filling, painful gums, or a damaged tooth? Our dental team at Columbine Dental in Littleton, Colorado can identify your particular problem and provide a stress-free treatment with your comfort in mind. Our highly trained technicians, hygienists, and dentists will employ the most up-to-date methods and innovative technology to administer care that is accurate, effective, and affordable. From new fillings to root canals, at Columbine Dental, we ensure that our patients in Littleton, Colorado receive the care necessary to enjoy healthy teeth for years to come. Regardless of how rigorously you care for your teeth, over time, you may suffer physical trauma that results in weakened, chipped, or missing teeth. These conditions can compound and lead to a bite misalignment, bone degeneration, or even further tooth loss. However, at Columbine Dental in Littleton, Colorado we can customize a treatment plan for veneers, crowns, bridges, dentures, or dental implants that will restore your smile and promote overall excellent oral health. Restoring your ideal dental structure not only improves your appearance and oral health but also prevents adjacent teeth from shifting and eliminates the discomfort of a misaligned bite. We utilize the most advanced technology and state-of-the-art equipment here at Columbine Dental in Littleton, Colorado in order to provide our patients with the highest quality of dental care. Our high-resolution dental imaging equipment produces real-time views of your teeth, gums, and surrounding support structure in unprecedented detail. This allows our dentist to diagnose problems with the highest degree of accuracy and you can relax in the confidence of knowing that you're getting the quality of care you deserve. At Columbine Dental in Littleton, Colorado you will receive treatment that is customized to your needs and provided by our exceptionally well trained dental team using the most advanced oral care tools. Abscesses, tooth decay, infected gums, cavities and other oral health problems can be incredibly uncomfortable, and we are here to treat dental issues that just can't wait for your regular check-up. Whether you're suffering from a painful cavity, cracked tooth, broken dentures or a misplaced filling, please don't hesitate to give Columbine Dental in Littleton, Colorado a call! Research shows periodontal problems can potentially elevate the risk for other health issues, including diabetes, stroke and cardiovascular disease. Your health and comfort are our first priority. If you are in the Littleton, Colorado and experiencing serious oral pain, call Columbine Dental directly at 303-979-4994 and one of our team members will schedule a consultation with you during our regular business hours. At Columbine Dental of Littleton, Colorado we firmly believe that your oral health directly affects your overall health and we are ready to take care of any of your dental problems. Call Columbine Dental at 303-979-4994 today to schedule an appointment and get the smile you've always wanted!